If used responsibly, credit cards are an easy way to build your credit score. That's because prospective lenders typically use FICO scores as an indicator of creditworthiness, and credit cards use impacts two major factors used to calculate your FICO score. Payment history: According to myFICO, "The first thing any lender wants to know is [if] your credit payments have been made on time." In fact, lenders care so much about payment history that it accounts for 35 percent of your FICO score. Each time you make your payment on or before the due date, you're building your credit score. Amounts owed: Credit utilization, or the percentage of your available credit in use on revolving accounts, accounts for 30 percent of your FICO score. By keeping your balances low or using credit cards and paying them down each month, your credit score will benefit. A word of caution: Getting overextended with a credit card can have negative repercussions for your credit score, so be sure to keep balances low and pay more than the minimum to save yourself the headache of hefty interest payments and being in over your head. Assuming that the way you use your credit cards has a positive impact on your credit score, you can end up saving money on some financial services products. For example, you're likely to receive the most competitive financing and loan offers and qualify for lower interest rates when applying for credit. Plus, you could also save a bundle on auto insurance, notes Money Crashers. The higher your credit score, the more of your hard-earned money you can keep in your pocket when seeking out these types of financial services. Most credit card issuers extend zero fraud liability coverage to protect cardholders against fraudulent or unauthorized transactions. 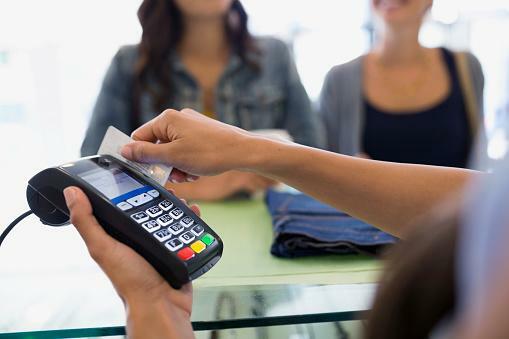 If your credit card is compromised and your card offers this benefit, you are not liable for any fraudulent charges. Even if your credit card issuer doesn't offer true zero-fraud liability, your losses are limited to a maximum of $50. Plus, the liability limits for debit cards differ from credit card accounts, as noted by the Federal Trade Commission (FTC). Chargebacks: Most accounts also allow you to initiate chargebacks if the retailer doesn't deliver on their promise or the goods or services are inferior. Quick note: Be sure to review your cardholder agreement, as included protections may vary by card. If you have a rewards credit card, you have the potential to earn a return on the purchases made with your credit card. These incentives come in the form of points or miles that can be redeemed for travel accommodations or gift cards. Some rewards accounts also offer cash back. To sweeten the deal, some rewards cards extend generous bonus offers to new cardholders. 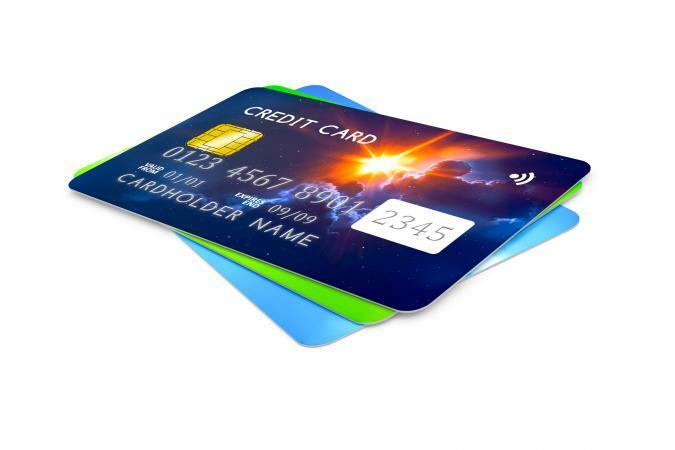 For example, some cards offer a flat-rate cash back amount or up to 40,000 bonus points if you spend $3,000 in the first three months as a cardholder. Caution: While rewards can be great, it's important to exercise caution. Refrain from using rewards credit cards excessively to maximize earnings, as you could end up with more credit card debt than you can responsibly handle. When you travel abroad with cash, your first order of business is usually finding a place to exchange your currency. Using a credit card while traveling internationally can save you the hassle of this step and keep you from having to worry too much about exchange rates. Additionally, you won't have to carry significant amounts of cash with you or wonder if you have enough cash on hand to make it through the trip. A word of caution: Some cards are subject to a foreign transaction fee of three percent or higher. Contact your card issuer before traveling abroad to inquire about foreign transaction fees. Have you ever tried to rent a car with a debit card? If so, the company probably asked for more than just your driver's license to verify your identity and place of residence, such as utility bills in your name. They may have even asked you to undergo a credit screening. Even worse, the deposit may have been higher, or the company may have placed a large hold on your debit card. On the other hand, when you rent a car with a credit card, you'll only be required to provide your valid driver's license as a form of identification and a small deposit. When you run into financial trouble and funds are low, you can take out what amounts to an interest-free loan by using your credit card to cover the emergency expense, and then paying it off before the grace period ends. Of course, if you can't pay the balance in full before this date, you will have to pay interest. However, chances are you'll spend less in interest this way than if you sought out a payday loan. A word of caution: If you go this route, pay the balance down as soon as you can to avoid the minimum payment trap. Also, get your spending under control and implement a budget to start building an emergency fund. Of course, these advantages are only beneficial to you if you use your credit cards responsibly. Before putting your credit card to use to take advantage of all the perks it may have to offer, be sure to read the fine print. Taking the time to understand all terms and conditions can help prevent you from incurring excessive interest and fees, and protect you against getting in over your head with credit card debt.